Anxiety Disorders are one of the most common emotional disorders seen in children and teenagers. Anxiety Disorders include Generalized Anxiety Disorder, Obsessive-Compulsive Disorder, Social Anxiety Disorder, Panic Disorder, and specific phobias. Anxiety disorders can significantly affect normal functioning as well as overall life satisfaction. Children and teens who suffer from anxiety may also experience symptoms of depression associated with anxiety. 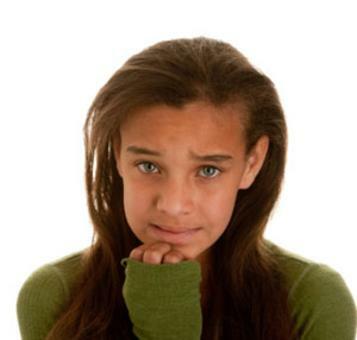 Anxiety can be observed in children and teens in a variety of ways. Some children may internalize anxiety, while others may exhibit more externalizing behaviors such as irritability, agitation, or tantrums. Anxiety can often lead to problems with grades, social functioning, and family life and can be misdiagnosed as ADHD or other behavioral/emotional problems. As with many other emotional problems, children and teens are often embarrassed to admit that they have difficulty controlling anxiety and are experiencing discomfort in their lives. The causes of anxiety can include a temperamental vulnerability or increased sensitivity some are born with, genetic factors, increased life stressors, ineffective coping strategies, and a negative thinking/cognitive approach. There are different subtypes classified as anxiety disorders including Generalized Anxiety Disorder, Panic Disorder, Social Phobia, specific phobias, Obsessive Compulsive Disorder, and Posttraumatic Stress Disorder. Anxiety disorders typically respond well to individual therapy. There are a variety of specific treatments that have been shown to be helpful in reducing symptoms of anxiety. Many of these treatments focus on teaching and coaching thought-based or cognitive strategies using an approach referred to as Cognitive-Behavioral Therapy. These techniques can help a child gain greater control over the mental symptoms of anxiety. Effective counseling may also focus on behavioral strategies to help reduce physical symptoms of anxiety and enhance the child’s ability to manage his or her own feelings of anxiety. Finally, education into the nature of anxiety can help the child or teen to identify and re-label the false warning signs that often trigger feelings of anxiety. Generalized Anxiety Disorder consists of excessive worrying and difficulty controlling thinking, in addition to physical symptoms of anxiety such as nervousness, trembling hands, headache, rapid heart beat, or stomach problems. Children and teens with Generalized Anxiety Disorder may recognize that they worry too much but feel that they cannot control their worry or anxiety. Social Anxiety or Social Phobia is the extreme end of shyness in social situations. 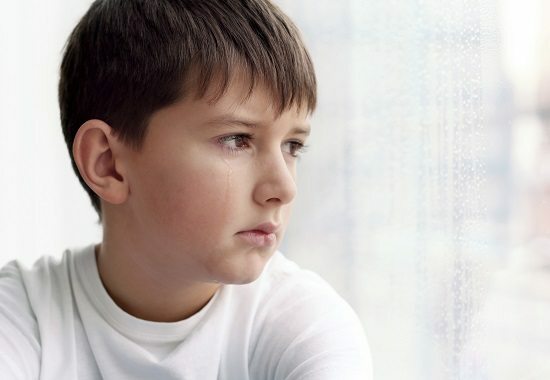 While some children may be more quiet and prefer solitary activities, social anxiety typically results in the child or teen experiencing anxiety in social situations that produces significant discomfort and may limit the child or teen to withdrawal or to avoid certain situations. In social anxiety there is typically a hypersensitivity to social interactions triggering mental and physical anxiety responses that accompany these situations. Children may avoid group events, school, or functions that would place them in contact with other children or adults. A child or teen may also feel very self-conscious about the fact that they become overly anxious in situations and this may lead to feelings of sadness or depression. Social anxiety can often effectively be treated by counseling. Thinking strategies, behavioral management of physical anxiety symptoms, and social skills training often conducted in a group counseling format can all aid the child or adolescent in overcoming social anxiety. Both children and adults alike can experience panic attacks which are short intense periods of anxiety accompanied by severe physical discomfort and feelings of anxiety. During a panic attack, a child may feel as if they are losing control, dying, or going crazy. Children or teens may feel the need to try to escape a situation or seek medical assistance. Panic attacks can be triggered by a situation (such as a feared social situation) or can be triggered spontaneously. When panic attacks reoccur randomly without being triggered by a specific event this is often characterized as Panic Disorder. In many instances panic attacks occur within the context of another type of anxiety disorder and their origin can be traced to specific situations, events, or fears. Obsessive Compulsive Disorder consists of a combination of obsessions and compulsions. Obsessions are unwanted and uncontrollable thoughts that are typically unusual, unrealistic, or feel inappropriate in nature. These thoughts cannot be controlled and cause anxiety for the child or adolescent experiencing them. Compulsions can be physical or mental acts performed in response to the obsessions such as counting, checking, excessive time with washing or hygiene related activities, among others. Obsessive-Compulsive Disorder can be extremely frustrating and lead to depression for the person experiencing these symptoms. Children and teens may attempt to remain secretive about obsessions and compulsions out of fear of having to disclose their unusual thinking or behavior to others. Treatment for obsessive-compulsive disorder consists in helping the child or teen gain increased control over obsessive thinking and working to create behavior plans that will help control anxiety and reduce compulsive behavior. If you are looking for a psychologist or counselor proficient in providing child counseling, teen counseling, family therapy, marriage counseling, or psychological testing, click on our bios page to learn more about our psychologists and therapists or click on services for more details regarding treatment for different problems. Pathways Psychology Services offers teen anxiety counseling to Naperville, Wheaton, Glen Ellyn, Aurora, Oswego, Geneva, Winfield, Carol Stream, West Chicago, Bartlett, Downers Grove, Plainfield, and surrounding IL communities.